Welsh Water is the sixth largest of the ten regulated water and sewerage companies in England and Wales. Responsible for providing over three million people with a continuous, high quality supply of drinking water and for taking away, treating and properly disposing of the wastewater that is produced, we are fully committed to delivering best quality service at least possible cost. Welsh Water is a ‘not-for-profit company’ which means we do not have shareholders, and any financial surpluses are reinvested in the business for the benefit of customers. 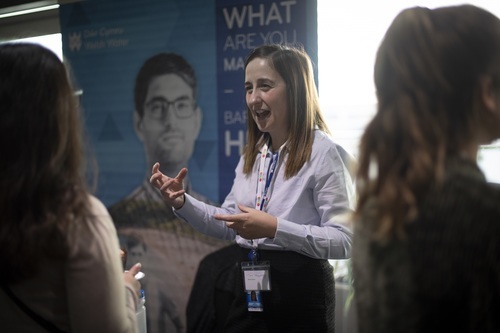 Our Graduate Management Development Programme is open for applications now and you can sign up for updates for our Apprentice programmes on our website. We look forward to you visiting us today to find out more… find out more at www.joindwr.cymru.